Try to imagine that you owned a 2,400 sq. ft. luxury home which can fly in the sky and fly with your closest friends to anywhere you want in less than 17 hours? From start to finish, aviation consulting firm, Kestrel Aviation Management oversaw the creation of this 787. Kestrel and Boeing have released the final cost of the 787 private jet. But a standard passenger-ferrying 787-8 carries a list price of $224.6 million. 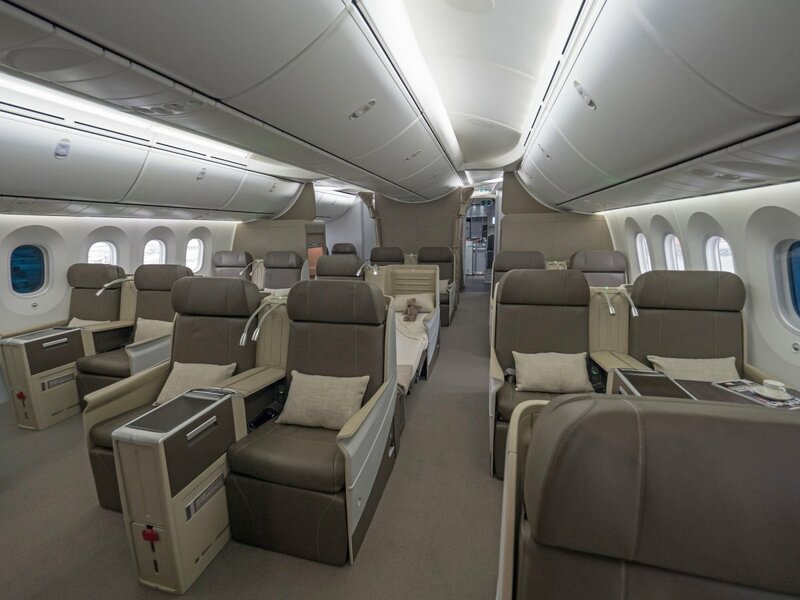 Here’s we show you a closer look at the the first Boeing 787-8 BBJ. This Boeing 787 BBJ is expected to enter service with HNA Group in coming July. According to Vella, the plane will likely to be used by the company’s chairman as well as ultra-high-end charter customers. Its cool right…..I have never see this kind of aircraft before, wish I have a chance to enjoy this high standard airplane in the future.